The warm summer days entice everyone outside, and children are usually the first out of the door. From tree climbing to pond-dipping and everything in between, children young and old can get utterly lost in the magic of nature. 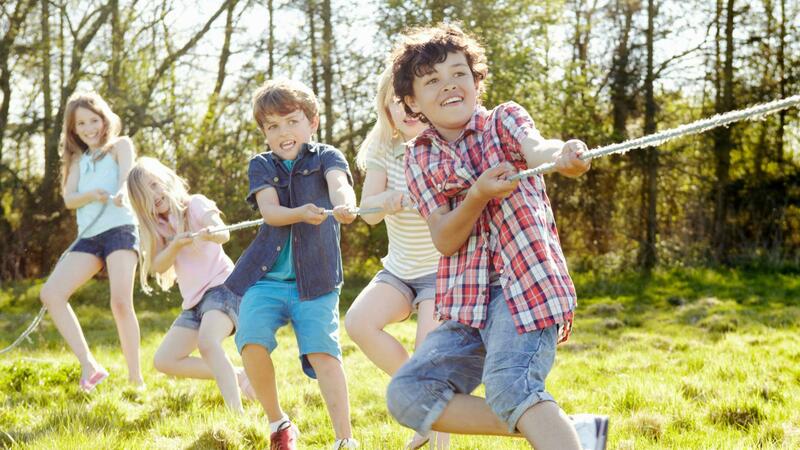 Summer is the perfect time to enjoy the great outdoors and soak up some sunshine for a natural vitamin D boost, so here are our top tips to help get your kids outside this summer. Thanks to the likes of Bear Grylls Survival School, getting out in the wild has gained popularity as children of all ages try their hand at surviving in the great outdoors. From wild camping with your little ones, right through to full-on family adventure weekends, there is an experience that’s just right for you. Let the den building and marshmallow toasting begin! Farms are one of the most fun filled venues for children and adults alike, and they have never been so accessible. A visit to an activity farm provides a hands-on educational experience for children, introducing them to the world of farming and helping to preserve this vital industry in future generations. Remember to book early for day visits or holiday camps this summer to avoid disappointment. Hot days are just begging for hosepipe-fuelled fun, and one of the easiest ways to get your children outside is the promise of a water fight. Attach your hosepipe to a rotating sprinkler system, or set up an epic water slide with some plastic sheets and let the water fun commence! If you don’t have a hosepipe don’t worry, simply fill water balloons and position them ready for battle. For those who don’t fancy the idea of water fights, why not try painting with water? Give your child a bucket filled with water and a paintbrush/roller and let them ‘paint’ your fence, walls or patio. Hours of free fun guaranteed and no mess to clear up! There is nothing more beautiful than the English countryside, and woodlands offer a magical playground where imaginations can truly go wild. Why not add a twist to your woodland adventure with a handheld mirror this summer? We often forget to gaze up at the stunning canopy of trees above us, and by simply placing your mirror under your nose (and following a nominated leader) you and your children can enjoy the woods in a whole new way. Maize fields are totally captivating to children as they gaze up at the stalks that tower above them. Find a friendly local farmer growing the crops or a public footpath through a maize field and let your little ones weave their way through for an epic game of hide and seek. Just be careful not to damage any of the carefully cultivated crops!